Some artists are so in tune with themselves that it’s impossible to escape their charms. That’s the case of Diana De Brito, aka IAMDDB, who’s been climbing the ranks within urban music since she was featured on BBC Music’s Sound of 2018 list. De Brito’s sound is like an urban siren song. She calls it urban jazz, but it’s actually a fierce mix of hip-hop, rnb and soul with a raspy voice shining in a versatile pantheon of beats and instrumental accents. It’s not hard to imagine why De Brito has critics in turmoil. 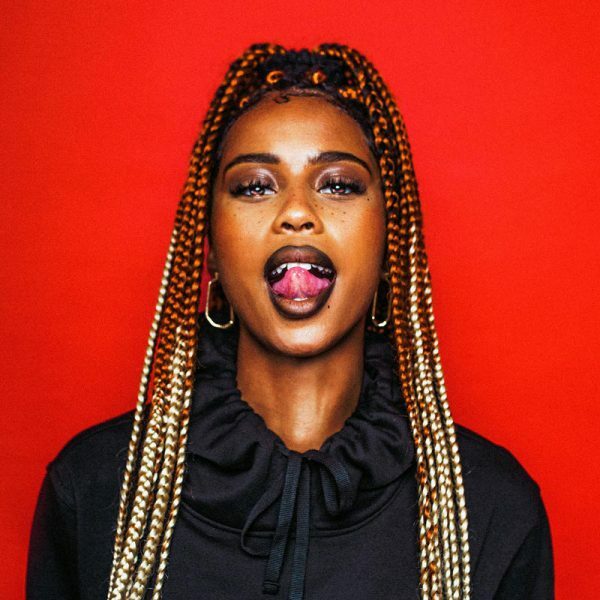 IAMDDB continues to shine in 2019: she’s released her spectacular album Swervvvvv.5, made a catchy collaboration with Diplo, “Mira Mira,” and will first set foot in Madrid on the stage of Paraíso. Be careful, everything she touches turns to gold, and you don’t want to be petrified by a live show like hers.